The ketogenic diet, a low-carb, high-fat way of eating, is remarkably effective at transforming people’s lives, helping them shed pounds and find relief from common health conditions. No one knows this better than Suzanne Ryan. In her quest to overcome her lifelong struggle with her weight, she stumbled upon the ketogenic diet and decided to give it a shot. In just one year, she lost more than 100 pounds and reclaimed control over her health and well-being. Suzanne has shared every detail of her transformation, from the very first days of starting keto to her most recent successes, on her popular blog, Keto Karma, as well as on her YouTube channel and Instagram page. 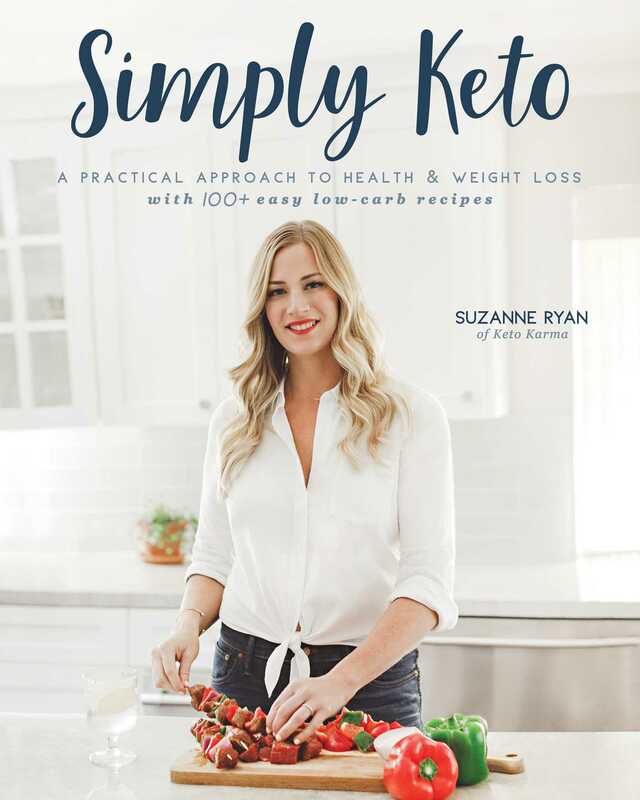 Her first book, Simply Keto, isn’t just a cookbook; it’s a portal into Suzanne’s life and dieting success—how she accomplished the incredible feat of losing almost 40 percent of her total body weight and developed a healthier and more balanced relationship with food. In this book, she shares everything you need to know to get started and find your own success.